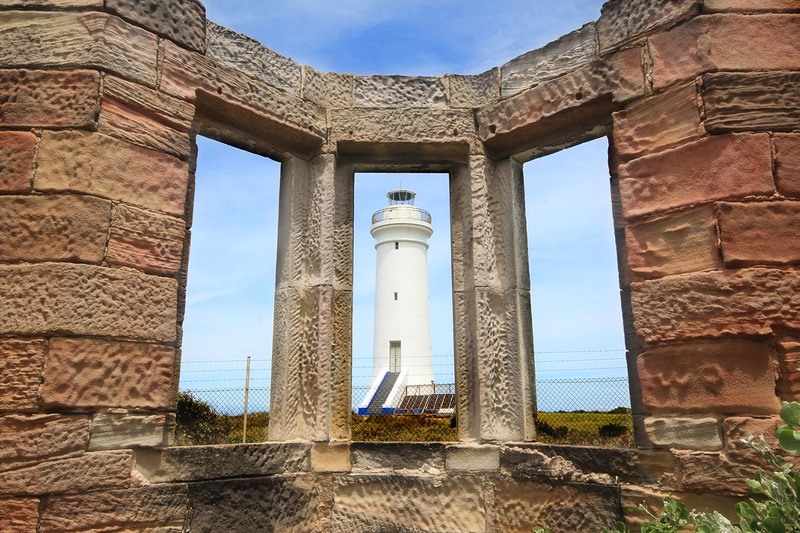 Point Stephens Lighthouse | Lighthouses of Australia Inc. 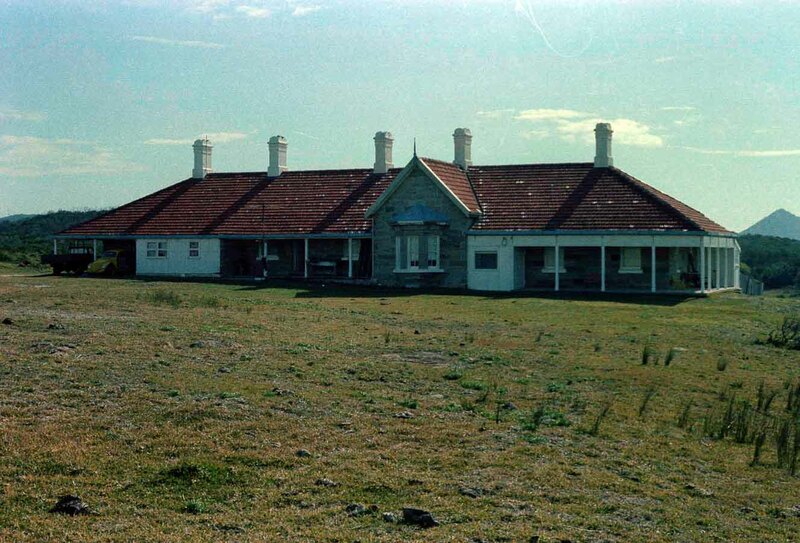 The preservation of the Point Stephens Lighthouse and cottages has been a battle against bureaucracy, the elements and vandals. 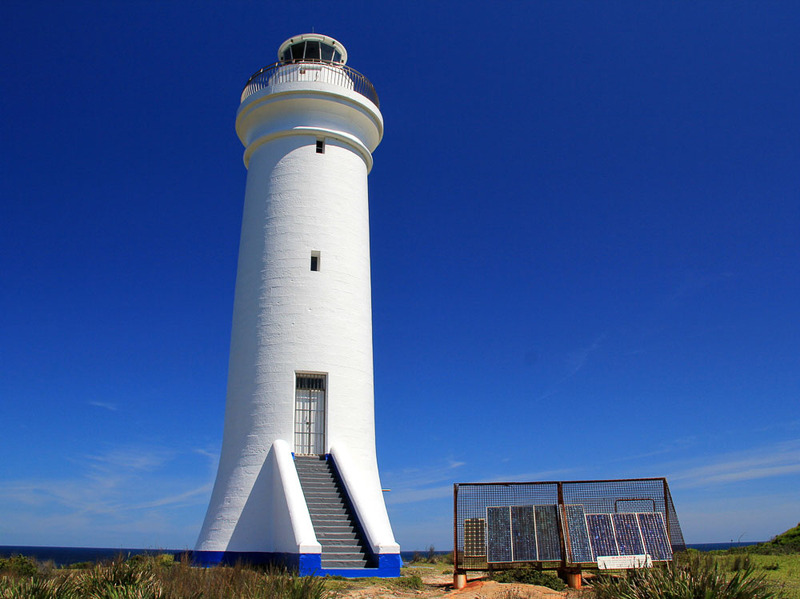 The Point Stephens Lighthouse’s stone tower and lantern was constructed in 1862. It is painted white. 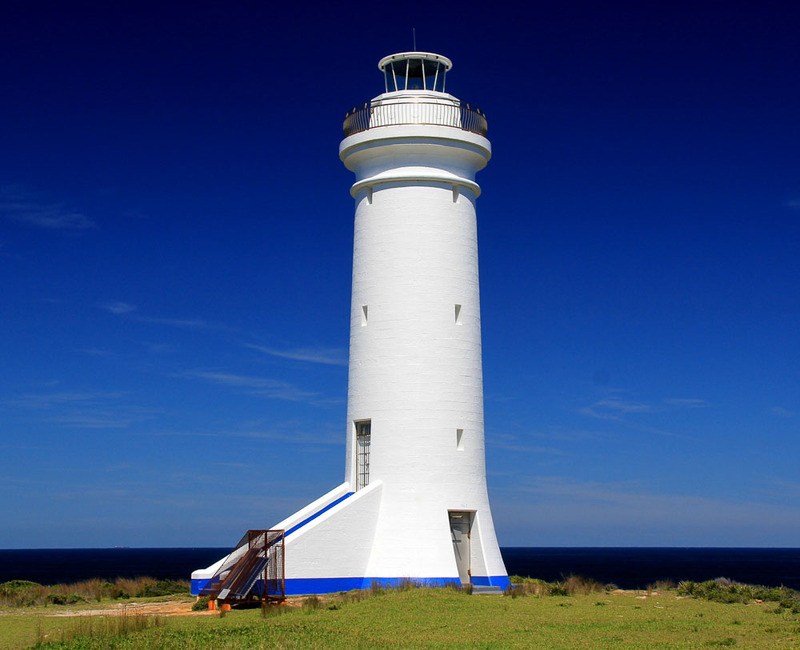 It is located on either Fingal Head or Fingal Point depending on the state of the tide. The original kerosene apparatus was set up so that it shone alternatively red (500 cd) and white (200 cd). In 1922 this was upgraded to a revolving, Dalen light, power by pressurised acetylene gas through an incandescent. This gave a light of 20,000 cd. 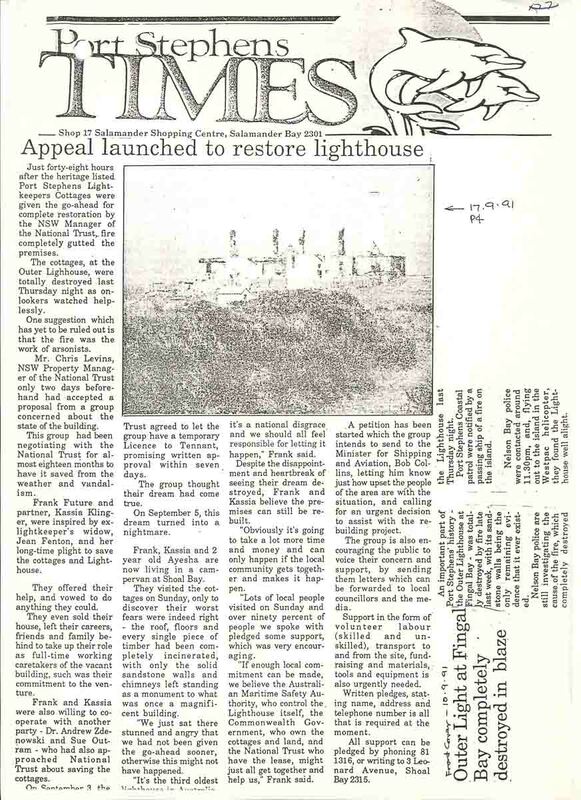 In 1960 the light was upgraded to mains electricity. The current lantern room appears to be from 1973. The final conversion to solar power was made in 1989 which lead to the demanning of the light. 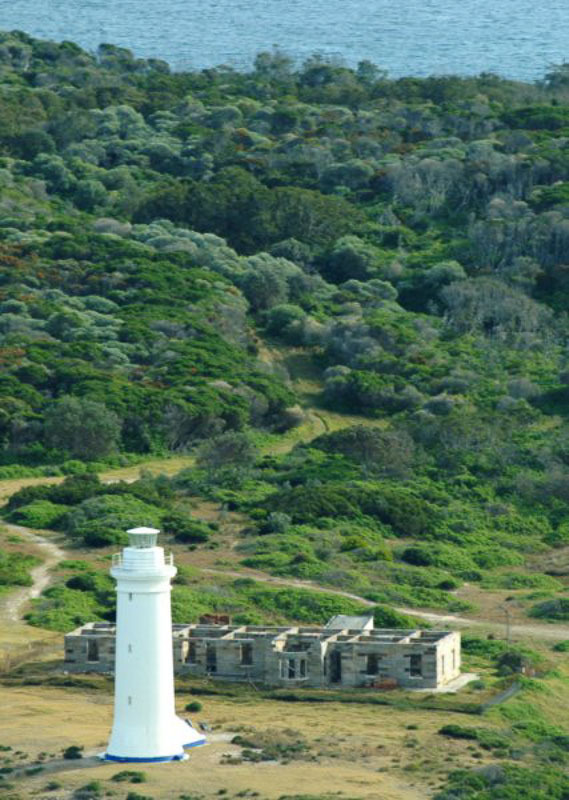 Ownership of the lighthouse and reserve has passed to the NSW Park and Wildlife Service. 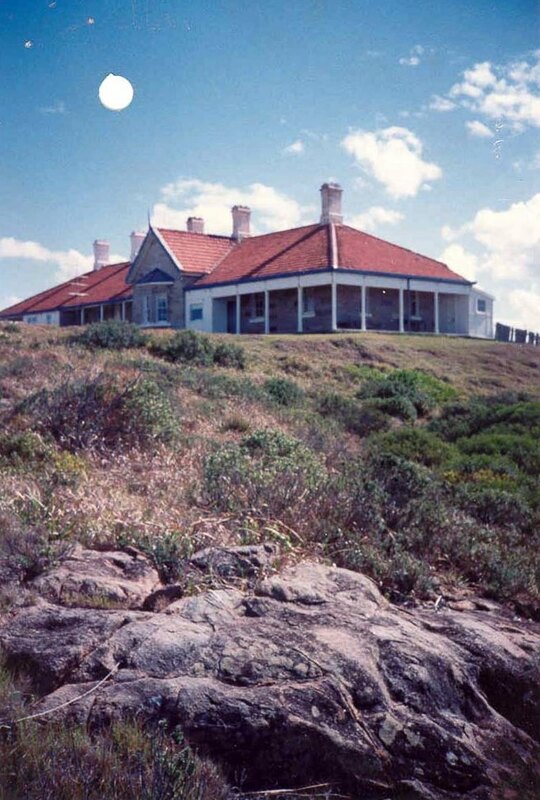 The ownership of the reserve was handed over to the Parks and Wildlife Service of New South Wales in 1998. 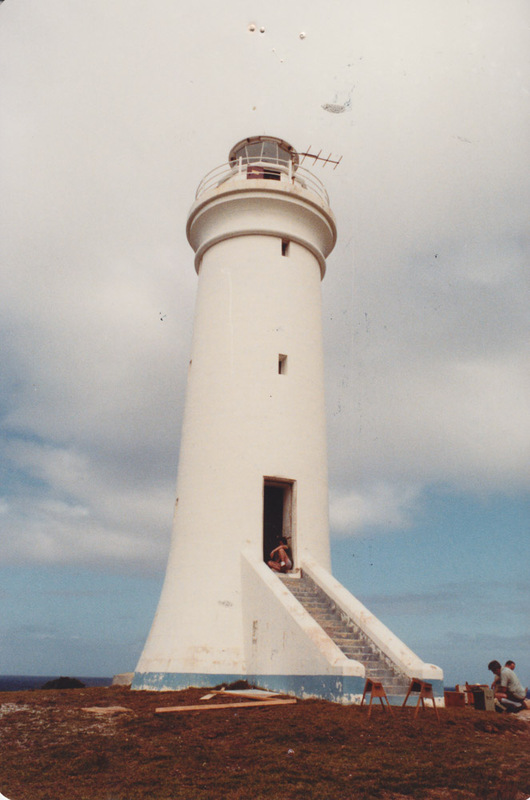 The tower has had restoration work done completed in October 1998. However, the keepers cottages burnt out by vandals after a previous restoration are in dire need of restoration with a management strategy to prevent further vandalism. Character Grp. Fl (4) 30 secs. The reserve is 10 kilometres from the nearest town, Nelson Bay and though reachable by land, access is recommended by boat. Even though there are no tours yet, there are no restrictions on access. The crossing of the bar to Fingal Island can be dangerous as this story shows.